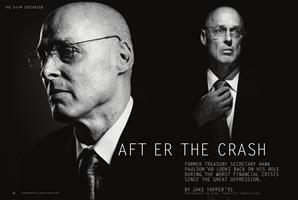 Former Treasury secretary Hank Paulson ’68 looks back on his role during the worst financial crisis since the Great Depression. 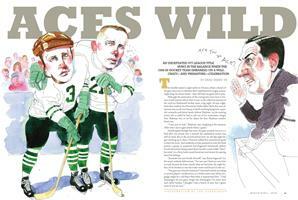 An undefeated Ivy League title hung in the balance when the 1958-59 hockey team embarked on a wild, crazy—and premature—celebration. 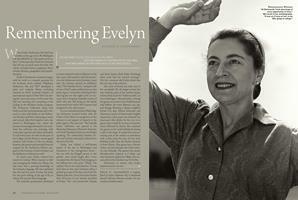 To say that Evelyn Stefansson Nef, who left her mark on Dartmouth in the 1950s, was way ahead of her time fails to do her justice. For years Dartmouth alumni have adopted outsiders to join their classes—and not just to collect more class dues. Students who’ve never wielded a tool take an engineering course to enhance practical problem-solving skills. Thanks to one alum’s brief encounter, the influence of America’s first celebrity chef lingers at Collis Café. To put the planet on a much-needed low-carbon diet, it’s essential to revisit assumptions about at least one controversial source of energy.